We recently returned from a family trip to Austin and Victoria to visit my granny, who is almost 95 years old (GO, Granny!) 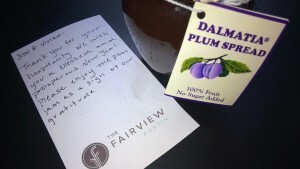 In Austin, we chose to stay at The Fairview because we wanted to stay at a more personalized location than a typical hotel. And boy oh boy, we definitely made the right decision! Vivian and Jimi were the absolute best hosts. They emailed us before our arrival, asking if we had any dietary restrictions or anything else they should know before our arrival. We stayed on the second floor of the charming old home (a former home, turned B&B, turned home and then turned B&B again!) in the Live Oak Suite. The room was enormous and included a separate bathroom (with claw-foot tub), dressing room, “yoga” room and a library area (Jimi set up two extra beds in this room for the kids). Honestly, we felt like we had half of the house to ourselves, the room was so big! It was also light, bright and airy with huge windows and giant mature trees all throughout the yard. Speaking of the yard, the kids enjoyed playing on the swings outside. It was nice to have an outdoor area where they could run around. The bed was one of the most comfortable I have ever slept in. The breakfast was wonderful: homemade yogurt, berries, granola, muffins, hard-boiled eggs, mixed fruit, and the best lattes ever! My kids couldn’t wait to get up every morning to have a latte (decaf!). They especially appreciated Vivian’s efforts to make sure the vanilla and chocolate syrups were well stocked for their lattes! As for Jimi and Vivian, they could not have been nicer or more accommodating. We had SOOOOOO many questions about the area, and they spent plenty of time making suggestions about what we should do while we were in town. Two of the things they suggested we do, renting bikes and riding along Austin’s waterfront, and then driving out to spend the afternoon at the Lady Bird Johnson Wildflower Sanctuary, were two things I never would have thought of on my own. We absolutely LOVED our bike ride along the waterfront, and the Wildflower Sanctuary was in full bloom and our entire family LOVED it. Who knew????? Thank you, Jimi and Vivian, for those fabulous suggestions! When we drove to Victoria, Jimi suggested that we stop in Lockhart to eat at Black’s BBQ, which is the oldest family-run BBQ establishment in Texas (since 1932). We took his advice and stopped there on our way back to Austin and it is truly the best BBQ I have ever eaten. Again, thank you, Jimi!!! The B&B is a short, four block walk to South Congress, which was great for walking off all of the food that we ate on that main street! Wifi was great. The best wifi I’ve experienced in a hotel/B&B. We would obviously not hesitate to stay here again when we go to visit my granny for her 100th birthday and beyond. Looking forward to the next trip! This B&B is so lovely and it is clear that a lot of care was taken to keep the home so lovely. I loved the huge living room area and dining area with the hardwood floors. The building is old, so sound travels but each room is outfitted with a white noise machine. I didn’t hear anyone else in the building from my room. The large king-sized bed was very comfortable and I slept soundly. It was wonderful to have gluten-free options for breakfast. Vivian and Jimi emailed me before my arrival to make sure they knew all of my special dietary requests. As someone with celiac disease, this was very comforting! I would definitely stay here again when I return to Austin. It is conveniently located within walking distance of So. Congress Street, a great part of the city. I’m still thinking about our stay at The Fairview. This B&B has the grounds and charm of a Southern, colonial-style property. But the rooms have been updated and are beautiful, clean and modern. The bed was the most comfortable bed I’ve ever slept on too! The B&B is situated near South Congress, which is just South of the river and a lively thoroughfare filled with restaurants, shopping and food trucks (and some of the best food trucks I’ve ever had). An ideal location! 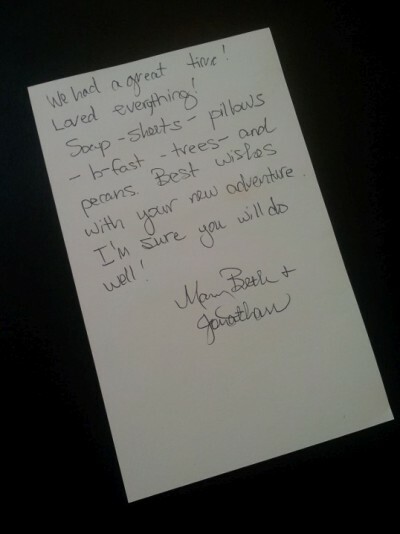 As for the couple that runs the B&B, they couldn’t be more gracious and kind. Breakfast was adorable – homemade pastries, granola and yogurt. And they have a 24 hour coffee room with delicious coffee. We even came back one night to chocolate truffles on our bedside table! It was the best stay – I couldn’t recommend it more! And I definitely can’t wait to go back! Tyler White of The San Antonio Express-News wrote about The Fairview highlighting our “really comfy beds” and the Lucky Dog Club. Read what he has to say at at mySA online. Jan Buchholz, Staff Writer for the Austin Business Journal, published a wonderful article about The Fairview. Read what she has to say and take their virtual tour at at the Austin Business Journal online. We stayed here shortly after they opened in the room with the screened in balcony seen from the front. It was wonderful to wake up and have a leisurely cup of coffee on the balcony as well as a romantic nightcap. The building and grounds were beautiful. It is tucked away in a neighborhood so quiet, but only a short cab ride to everything downtown. The owners were very nice and live on the grounds in a separate house. The breakfasts they provided each morning were very nice – consisting of hearty healthy food like homemade yogurt, fresh fruit and breads to go with a main course. I would highly recommend this B&B for any occasions you might have and look forward to coming back! Thank you for your hospitality. We wish you a blessed and prosperous New Year! Please enjoy the plum jam as a sign of our gratitude. We celebrated a wedding here with a brunch for about 50 people. Everything was perfect! We booked the entire B&B and the bride and groom even stayed with the family. The owners were very helpful and accommodating and our families raved about the comfort, the food and the service. The bride got ready in the largest room and it was perfect for all of us to gather before the ceremony. The grounds are amazing and there is even space to play croquet which the kids loved. I highly recommend The Fairview! We stayed in the Fairview’s Blue Bonnet room for four nights in November. The room was gorgeous – spacious and full of Texan character. Hosts Jimi and Vivian were super-friendly and helpful, the breakfast was great (hello homemade French toast casserole), and the building itself was a beautiful renovated plantation-style house. It’s a safe 10 minutes walk to all the fun, shops, bars, music and tacos on South Congress. We’d 100% stay again if we returned to Austin – it’s a quintessentially Austin place to stay; unlike a lot of the chains around the ‘Dirty Sixth’. Soap – sheets – pillows – b-fast – trees – and pecans. Best wishes with your new adventure. I’m sure you will do well! Stayed November 2014, traveled as a couple.